Think of it as a superhero movie. But with a really human hero, whom the filmmakers knew would either climb the sheer rock face of El Capitan, in California’s Yosemite National Park, or die. 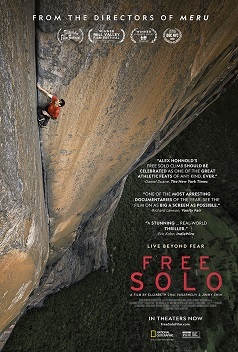 Spoiler: Alex Honnold lives. And so do we, grappling with his motives, scaling alongside his effort, listening to his internal dialogues. The filmmakers scrambled to document intimate challenges from a safe distance. But Alex risked his life, creating a sense of (relieved) triumph for all of us.